CREED BRATTON WAS BORN MORE THAN 50 YEARS SUBSEQUENT TO THE FACT. HE WAS NOT NAMED AFTER THE BAND. THAT PARTICULAR AUTOMOBILE WAS SOLD TO IT'S FOURTH OWNER IN MARCH 1977, SO IT IS IMPOSSIBLE THAT ITS SECOND OWNER HAD IT IN SEPTEMBER 1978. DWIGHT SCHRUTE IS 43. 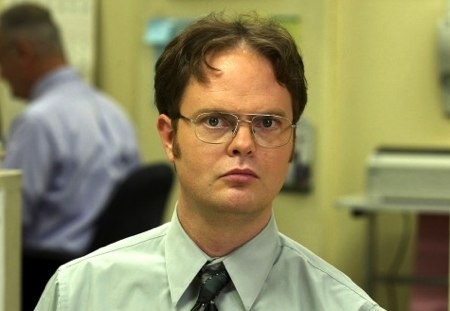 RAINN WILSON IS 47. "From soil you have come and to soil you will come"
False. You are an individual in species that originally evolved from Bacteria. Also, after you die, it takes thousands of years from your bones to decompose.